7.9 x 4.1 x 3.5 cm. 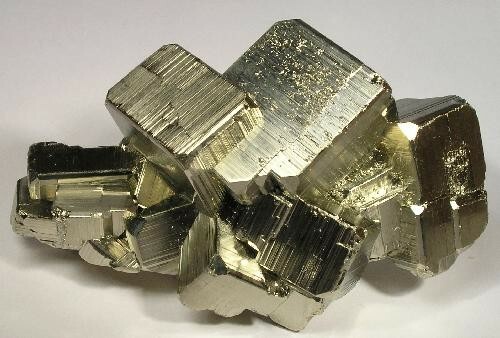 Terrific Pyrite from what is certainly one of the world’s premier localities. Each cube has gorgeous bright striated faces, and all the edges are beveled, which adds to the aesthetics. Even the corners have a distinct and unusual modification. The largest crystal is 2.6 cm.